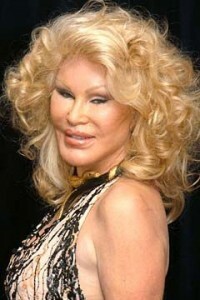 In case you are not familiar with her, Jocelyn Wildenstein is a wealthy socialite who is rumoured to have spent hundreds of thousands of dollars on plastic surgery. She had her eyes done to slant upward like cat eyes, and her lips are over plumped. In recent years she is said to have reversed some of her extreme look with cosmetic surgery revisions. She may have tried toning down her extremely outrageous look. She’s quite a character and is reputedly proud of the work she had done. People have called her catwoman, bride of wildenstein, and scary. She seems to take the media criticism really pretty well and her plastic surgery pictures are all over the internet. Whether she intended it or not, she seems to have become something of a poster girl for extreme plastic surgery. Has she had too much plastic surgery? Leave your opinion as a comment!